Need Help Creating Tableau Dashboards? 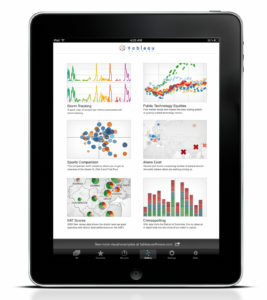 Creating powerful Tableau dashboards is something we do really well. Whether you are new to Tableau or a veteran, it’s often good to get advice from experts who have seen it all. Our consultants can help you kick-start your Tableau journey by rapidly producing some great dashboards. They can be for proof-of- concept to impress the boss or just to get you quickly out of the gate. Or you may need sustained assistance to meet certain project deadlines. We are eager to help you no matter the size or type of your project. Our keen knowledge of data visualization best practices and our UD³- Unilytics’ Dashboard Design & Development process ensures your dashboards will be enhanced for performance, visualization, and distribution. And because our Tableau consultants are also data experts, they can navigate the challenges of preparing data sets for optimal use in Tableau. If you want to create your own Tableau dashboards, we offer a full suite of Tableau Training services customized for your needs and experience level.